This cloth is decorated with a design of 'archaic' human figures with a supplementary star pattern suggestive of the patola design. It is designed in accordance with the idea that a person is able to acquire special powers and qualities of the images depicted on the cloth. 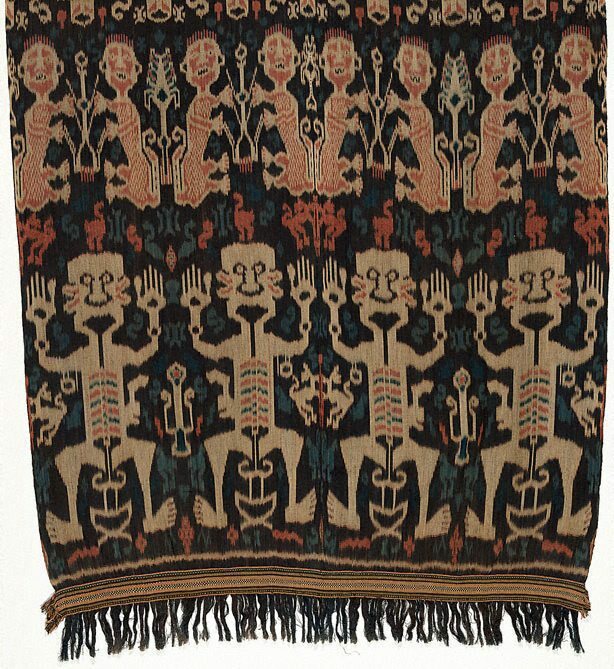 The motifs are rendered in large scale, a stylistic tendency which suggests that this textile dates to the mid-1970's. Asian Art Department, AGNSW, April 2016.